Our incredibly avant-garde script regularly monitors the changes made in the stock. Get instant notifications whenever the stock level goes below the specified limits. Pre-order your stock and manage them efficiently. Expand your reach and get in touch with the geographical locations you desire. This feature allows you to add multiple locations with ease. Your customers can find the nearest store easily based on the availability of the specific products in each location. Worried about managing your customers? 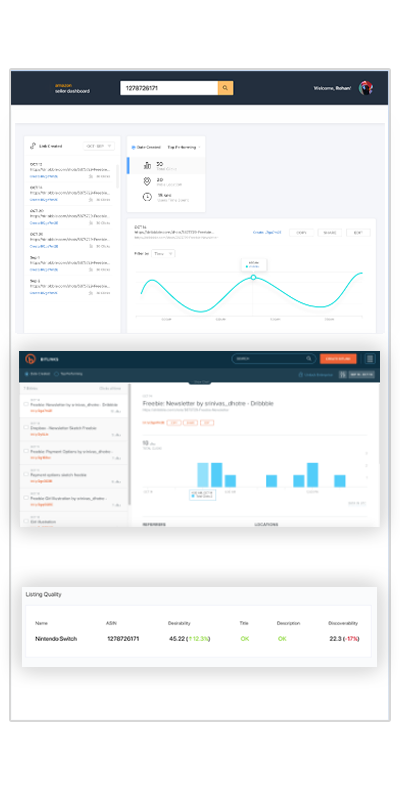 Manage the profiles of your customers effortlessly in multiple groups. We also offer additional features for registered or guest customers including viewing and managing wish list, coupons, etc. Manage a countless number of vendors across leading platforms including iOS and Android. Set multiple functionalities including 'per sale commission' or even review information related to suppliers in real time. Offer numerous discounts on the redemption of reward points to your loyal customers, which can be collected by them whenever they purchase something on your site. Want to increase your customer base without any efforts? Through “Refer to Friends” feature, invite your family, friends or colleagues to your app. Receive referral rewards and promo coupons too. Attract a countless number of users using discounts. Give numerous discounts to achieve a loyal customer base. Let your users enjoy an easy process of signing up with a mobile number. Allow them to log in using OTP (One Time Password) for logging in to your website or application. Scan any time from any place. Paying has become a hassle-free process with the new QR code feature. All you have to do is scan and pay. Worried about forgetting your shopping list? With wishlist, add an unlimited number of items. The advanced features will let your customers move their products between their wishlist and shopping cart easily for later use. Reduce the number of steps to check out. Add items to your shopping cart in no time with a simple drag and drop functionality. Please your buyers with a smooth experience through our Amazon/Flipkart clone script! Want to compare similar products available from a wide range of sellers? Allow your buyers to compare their favourite products on the basis of quantity, brand, and other attributes efficiently. Tired of the never-ending list of products? Filter products by their attributes and custom options and find your desired products faster. Keep your customers updated about their product delivery status. Send them order statuses via email or SMS right from order confirmation to final delivery. Notify them about shipping and return policies. Let all your customers receive service-related notifications via push notification, email or SMS. Stay up to date about the latest news on upcoming Sale or other offers. Allow your customers to submit requests for return or exchange of products with ease. Notify them about the refunds that will be delivered to their wallets as per company guidelines. Provide your vendors with all facilities to sell an unlimited number of products. From colour, size to other features like zooming, let your vendors sell as per the latest product configurations and customizations. 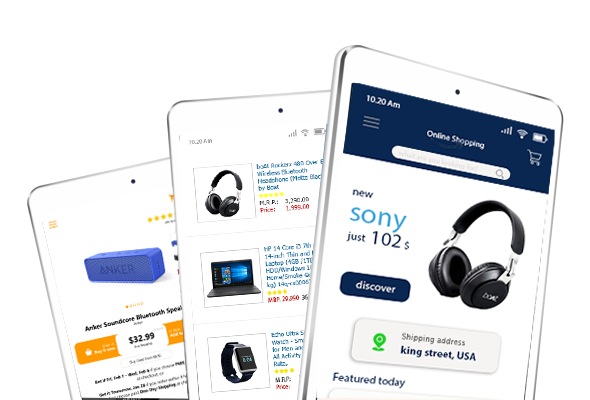 Our ready-made Amazon/Flipkart clone website and mobile application will allow your vendors to sell their products anywhere. Boost your sales by reaching out to your customers globally with a unique collection of products. Fix the commission rates for any product through your app. Customize these rates for vendors remotely or globally, based on your requirements. Grant access to your vendors for adding their products directly via their profiles. You can provide options for automatic approval or review before updating the product catalogue. With a single admin panel, create, manage, delete your vendors and their products. Set restrictions to keep a check on the quality of the products provided by vendors. Permit access to manage as per their subscription. Cross promote your products with this feature. With the ability to see all the recently viewed products by customers, vendors can up-sell their products between their browsing sessions to gain more profits. 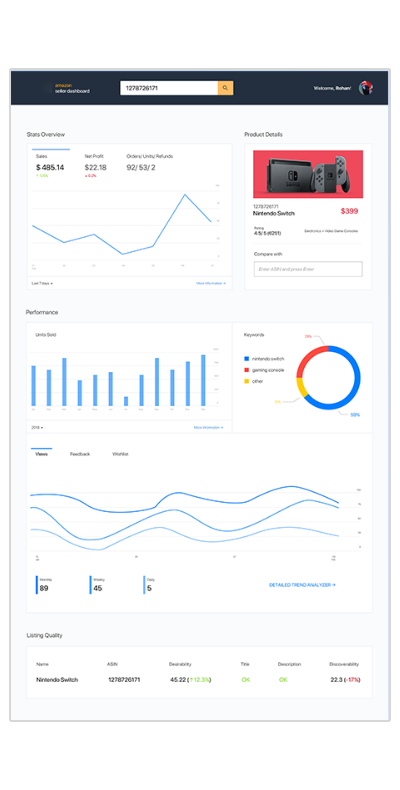 Looking for an interactive demo to build your e-commerce app? Our demos will give you a clear picture of how your app will look and function like. Get in touch with us to view our demos. Integrate our bitcoin wallet and start trading with millions of bitcoin users globally. Highly secured and seamless. 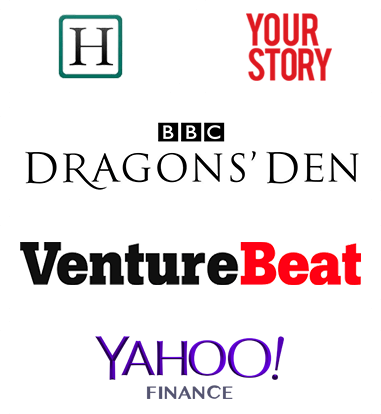 Get people to advertise on your site and also get paid for it. AdMob or google ads can be easily integrated. Want your e-store's virality to increase, then let your customers share the products they like and reward them with benefits for referring more people to the site using this plugin. Integrate payment methods supported in your Country/Locality and give your customers ease of access and increase your sales. Advanced Algorithm to track the user browsing pattern and suggest products that they’re most likely to purchase. The entire Amazon/Flipkart Clone app, website, and backend will be translated to the language of your choice. Down to all the button labels, login text etc. Give your customers easy access to your support services with this plugin. Chat, Messages and Mails, everything will be covered under one roof. Whitelabel iOS and Android apps for your customers and vendors with all built in native iOS and Android source code for brilliant execution. 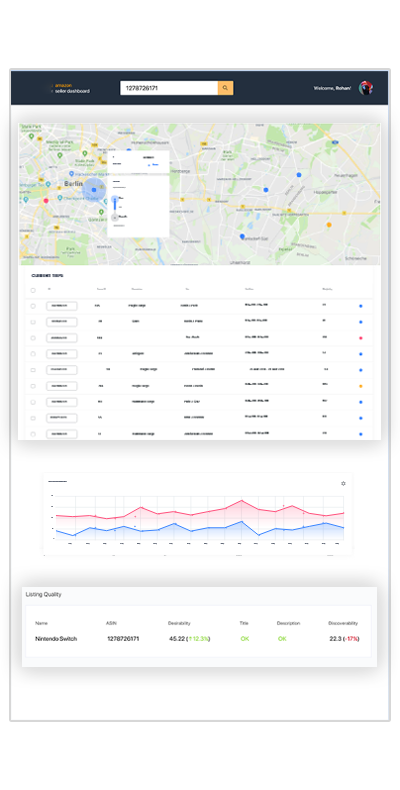 A featureful front end website for your customers and vendors to log in, purchase, pay, sell, provide feedback and view order history with ease. Monitor your entire business from reviewing product submissions, approving returns to adding payment methods with ease. The entire code of the Server, Admin Dashboard, iOS, and Android apps are given with an encrypted code and complete documentation. Designed to suit your business needs. The app is built with Paypal Mobile SDK, Stripe Credit Card Processing and Cash on Delivery as default available methods. We can add more as per your requirements. Will I be able to incorporate any new ideas into my app? Yes, you can always add new ideas to your app. Our Amazon/Flipkart clone script is flexible enough to meet your requirements. In fact, we assure you that the end product will definitely be worth your investment and time. Can I integrate multiple payment gateways? Yes, our scripts support the integration of numerous popular International Payment Gateways with ease as per your business requirements. Will you provide technical support post development of my app? Yes, we can provide you with technical support after the delivery of the product as per the agreement. At Appdupe, we handle everything even after the final launching of products. If you find any issues, you can always report to us. We will work on fixing them and update the status as soon as possible. After product delivery, is it possible to modify the features of the app? Yes, you can easily modify the features of your app after the delivery of the product. For instance, you can add the agent app feature and manage your bookings with an alternative Amazon/Flipkart Clone script agent mobile application. Will you help to conduct testing for my app? We can help you with end-to-end testing of your app as per the agreement. All standard rules of the mobile app development process are followed by our team members. So, testing will be performed undoubtedly for each stage.